New revelations have surfaced that back up the early claims that dispersant was sprayed on the population. Multiple BP cleanup workers and residents have confirmed that they were indeed sprayed with Corexit. In early June we reported on the multiple calls we had received from concerned residents who were being hosed by dispersant yet most people just didn’t believe it. After four months of proof it has become an undeniable truth. 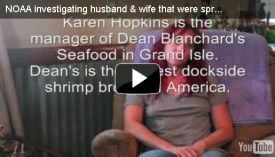 In a recent interview, Karen Hopkins described some very startling information that she had received from a family of BP clean up workers. A husband and wife, tired after working all day for the Vessel of Opportunity Program, went to sleep on their boat with the windows open and to their surprise awoke dripping wet. Not only were they soaked with Corexit, they had numerous health problems, including irritation and itching that turned to sores and what they call the BP cough. Karen reported that rather than cease, these problems continued to get worse. This is absolutely horrifying. These are American citizens sleeping in their boat being sprayed by a toxic chemical. This may not have been on purpose but the fact of the matter is, it happened. People throughout the gulf are crying out for help yet most Americans, more focused on shows like American Idol, simply do not know or care. Another former BP worker described what sounded like a military operation. BP been seen spraying dispersant at night in planes without their lights on. This women went on to explain that they first thought their boat was on fire until they realized that the smell was actually Corexit. How could the pilots of these planes not see vessels in the area they were spraying? 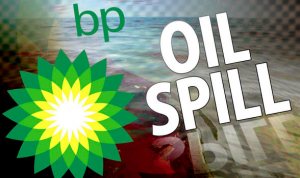 The women also claimed that BP will not return calls in regard to claims and are basically ignoring sick cleanup workers. Where are the Congressman demanding Congressional Hearings and possible grand jury investigations? What is happening to the water supply? Will the Gulf ever recover? This women has revealed that the dispersant HAS gotten into her local water supply and is being covered up by local authorities who have been paid off by BP. When you listen to this women speak you can hear the anguish in her voice and it really drives home the most important fact of this whole disaster.. Actual American citizens are suffering at the hands of a foreign company. As if that is not enough, BP is actually teaching school children the “facts” surrounding the Gulf Oil Disaster. The Tri-Parish Times reported today that BP, alongside a NOAA representative, presented a presentation to 8th graders at Oaklawn Junior High School. Essentially, children are being taught that the spill that has poisoned their towns is a mostly harmless chemical. This is straight from George Orwell’s 1984! Kids are being reeducated on the facts of a spill by the very people that created the disaster! BP isn’t stopping with Oaklawn Junior High School, rather they plan on carrying out demonstrations in multiple schools throughout the gulf. Please spread this information far and wide. Any people that have been poisoned by dispersant can contact us at Tips@theintelhub.com We will get your story out to the masses. I also want to commend Grassroots Connection for their amazing reporting.